The Sydney German Autofest is a great day for German Car enthusiasts. Hosted by the Mercedes-Benz Club of NSW this a day for Clubs representing German Automotive Marques to come together. PCNSW have been invited to attend, which we have gladly accepted, and as such this event qualifies for those on historic plates. So while your car is clean and at its best following our own Concours, why not take this opportunity to display your car along with all the others? All you have to do is let us know you are going along, turn up on the day with your car and $15. 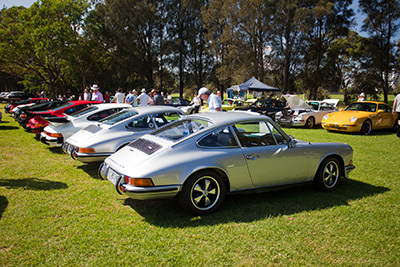 PCNSW will be advising numbers to the organisers 5 days before the event, so please register to enable us to allocate enough spaces for all our Porsches to be together. 2.00pm departure, however cars can leave earlier as this is a casual day. A brochure about the event can be found here.